I slept really well last night and got going by 7:50am this morning. 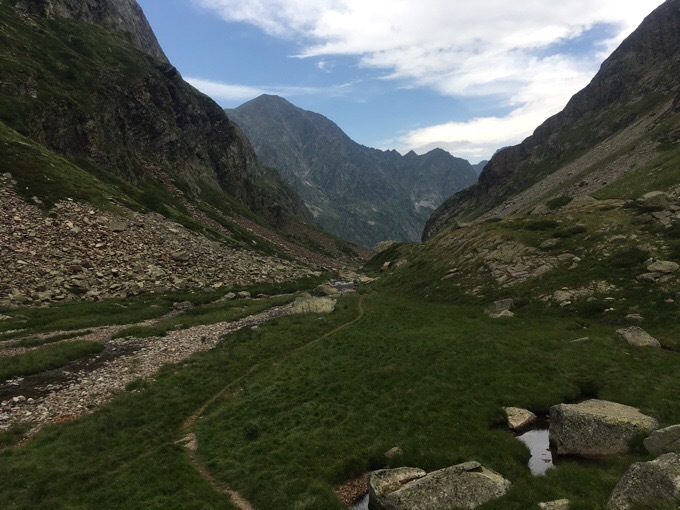 The first couple hours of the day, I continued to follow the GR11. That and the GR10 are marked with red and white stripes. The lesson I learned this morning is that apparently other GR paths are also marked with red and white. Many intersected this morning, including one of the Camino paths, and I mistakenly stuck to the red and white markings I’d been following. Fortunately, I noticed a couple minutes later, and didn’t have to backtrack much. Then the climb started. For me, it was the most difficult climb thus far. 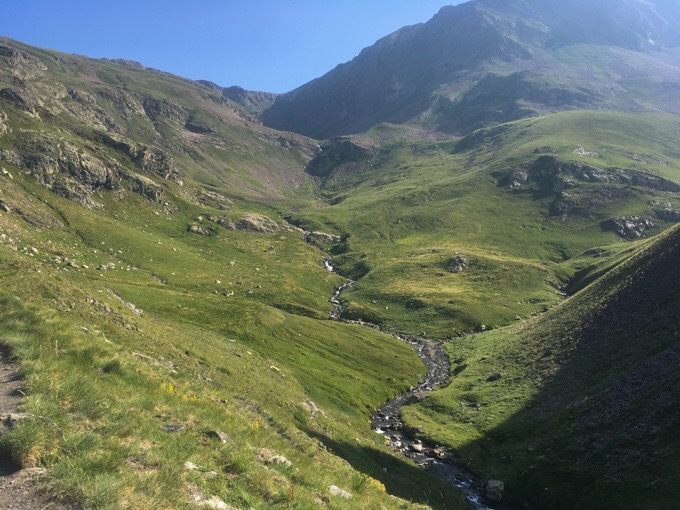 It started off on the GR11 gradually traversing up a valley until reaching the point where three streams converge to create the Rio Cinqueta, which I tented next to last night. The Harry Potter podcast was great company on this climb. 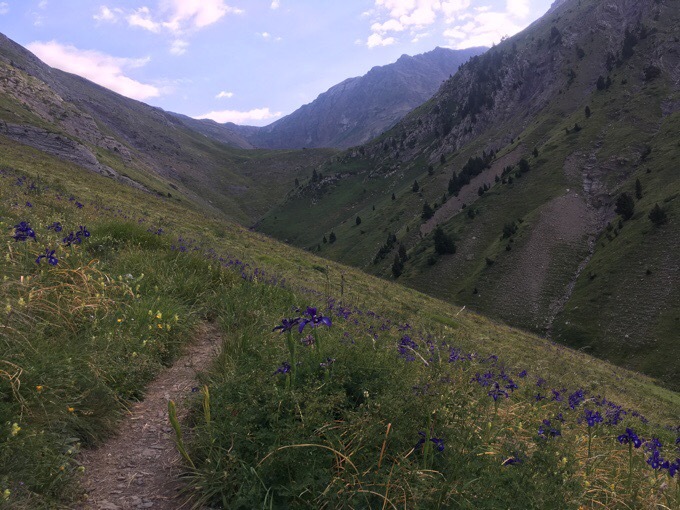 From there, I forked off the GR11, the cross country began, and the music was switched on. There were cairns and a faint track in tall grass that were easy to follow, so navigation was simple. Basically got uphill paralleling a stream. The 3638ft/1109m climb felt like an eternity, it got steeper as I went up, and I was dripping sweat with the humidity higher than usual. I go up the middle of the three streams. And still more to climb! My morale was not great because I felt like I was barely making progress. I even took a break partway up, which I rarely do on climbs. I felt like this one had beat me. Fortunately, some light clouds moved in as I went up, and it got cooler with a breeze as I got higher as well. 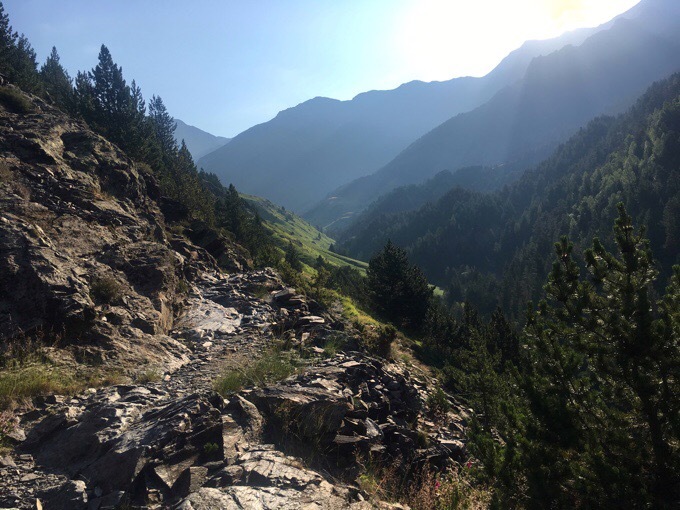 It wasn’t until I got to the top of the climb at Port d’Aygues Tortes that I looked at the guidebook to see how my pace was. I had gone 35mins faster than the book’s estimate, sweet! That was the boost I needed after feeling like such a slug. I really hadn’t expected that. The book’s estimates have been pretty spot on for the steeper more technical stuff. I tend to be faster than the book on trail estimates, but right on time for the off trail stuff. Nice to know my trail legs are kicking in. View looking back up top. Notice two men in the distance. The rest of the day felt very natural and relaxed. I was intimidated by the description of this leg, and have been wary of how much I’d enjoy it. The real alpine stuff comes in the next two days, but today felt awesome. I am feeling at home out here and am really enjoying the mental and physical space I’ve been able to get. There tends to be people hiking near the refuges as I pass two or three a day, but I see very few others on climbs like the one this morning. 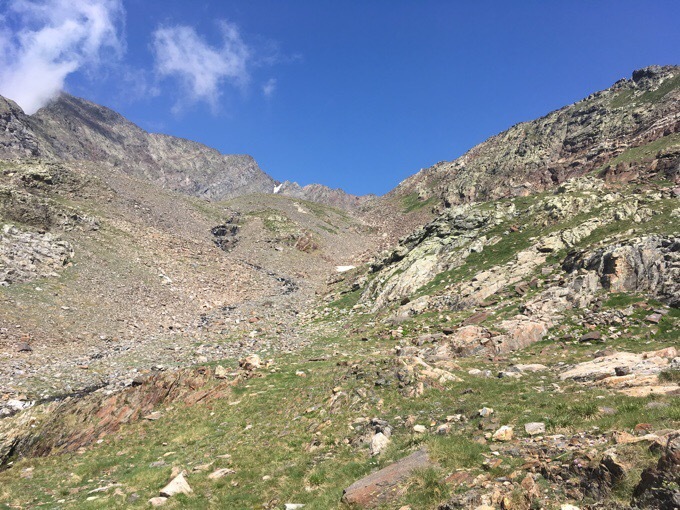 From the Port d’Aygues Tortes, it was 3258ft/993m down through the Vallon d’Aygues Tortes. 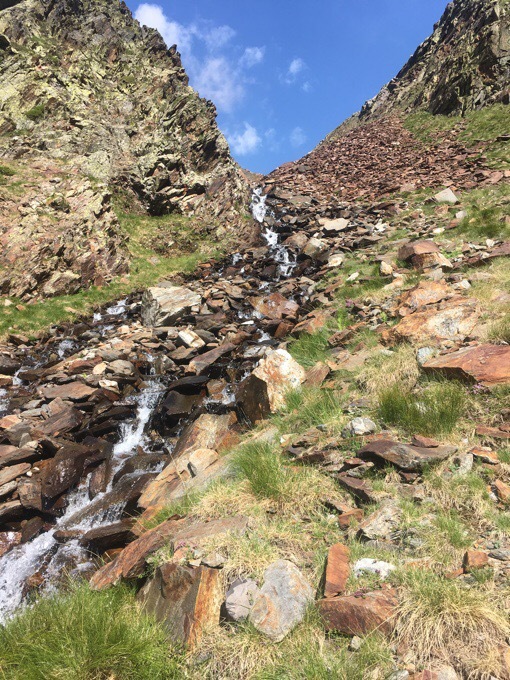 The initial drop was on steep switchbacks with loose scree at times, but then the rest of it was quite gradual and enjoyable. 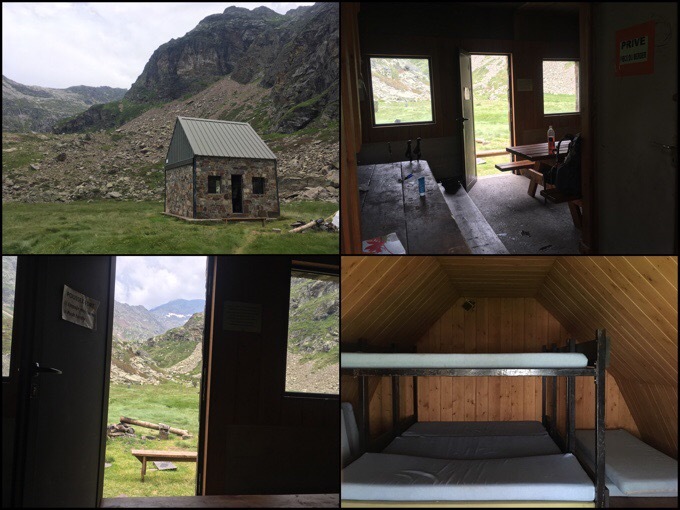 I ended up at a more modern cabane called the Refuge de Prat-Cazeneuve at lunch. It was comparable to a New Zealand hut. There were tables inside, so I ate a meal inside for the first time on this route. As I ate, the clouds gathered more and it cooled a bit. Just as I was packing up to leave, there was a light sprinkle and I heard a distant rumble. Since major rain wasn’t expected, I continued on, and it disappeared, yay! 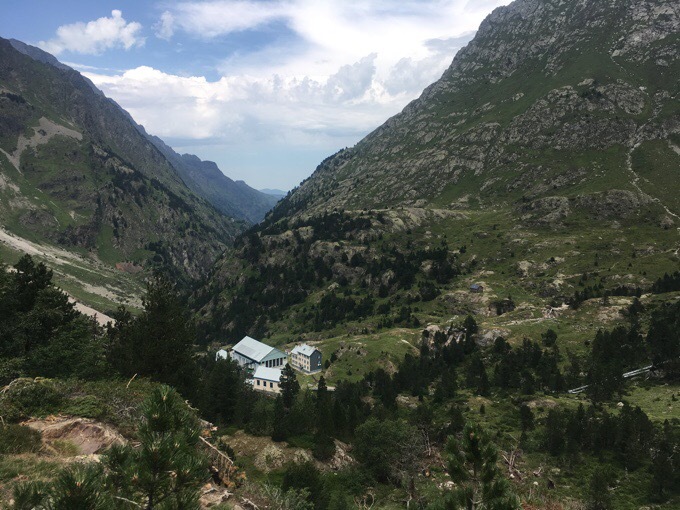 I got to the bottom of the descent at the Refuge de la Soula, and was surprised. It is by a power plant, so I didn’t even think it was a refuge, and it came much quicker than expected. The time passed nicely as I was listening to another new podcast for me. It’s called Beautiful/Anonymous, and is based a cool concept that everyone has a background or deeper interesting story if you take the time to talk to them. In the podcast, the host gets an anonymous call from a stranger that’s an ordinary person. They keep it anonymous and unscripted, and just have a conversation for an hour. It reminded me of meeting people on trail and getting to know them. I listened to three of these today and enjoyed it. It’s perfect for my introverted side that can passively listen without having to actively engage in the conversation. It was like I met three new people today, but I could take a break or space out as needed. I liked it. 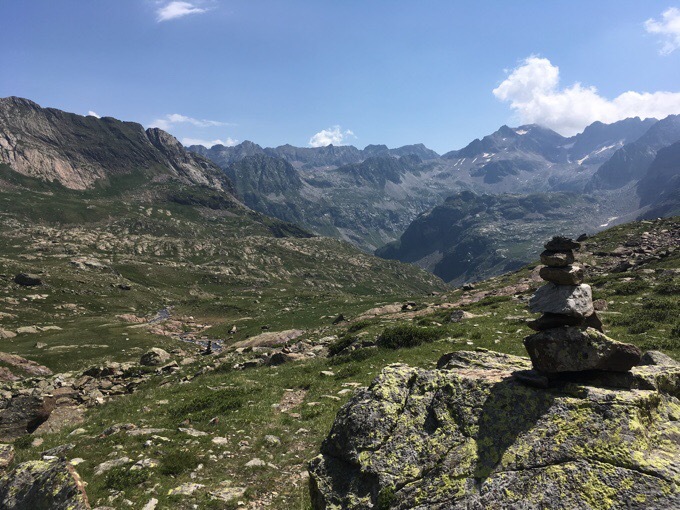 Finally, I had a fairly gradual and enjoyable climb up to what the book describes as an alpine setting. I’m pretty excited about the next couple of days and am glad that it seems the weather will hold. 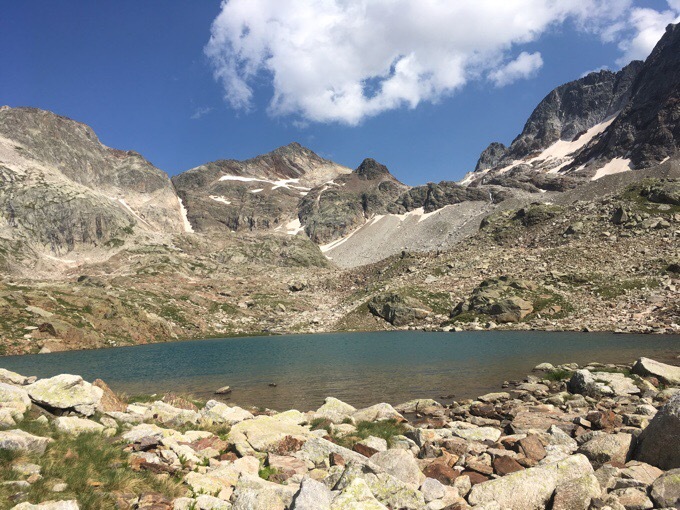 I’ll be heading up to some alpine lakes, glaciers, and multiple points over 3000m/9843ft, the highest points on the route. This is the stuff I came here for. As I climbed up, I was surprised at how comfortable I was feeling with it all. As I mentioned, I was apprehensive and a bit intimidated after reading the guidebook, but now that I’m in it, I’m feeling very calm and at home. Steady was the word that kept coming to mind. It reminded me of one of my favorite Shawn Colvin songs, “Steady On.” At one point, I just stopped and took it all in and it really hit me where I am and that I have it all to myself. It was a really cool feeling to have it all to myself with no one in sight most of the day today. 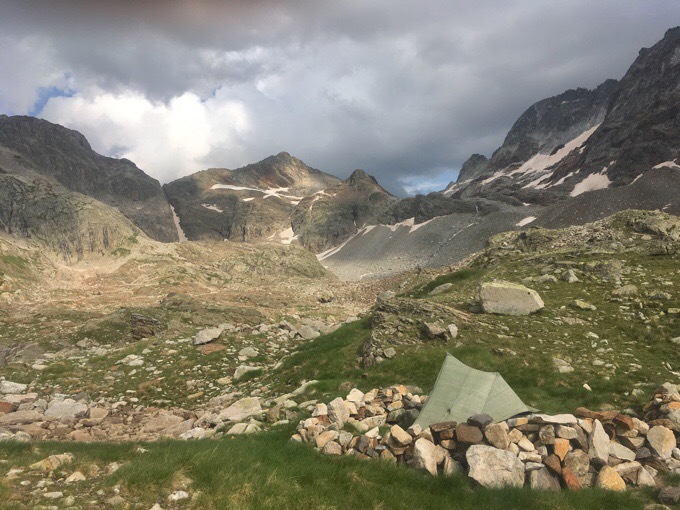 When I got up to the lake where I hoped to camp, Lac des Isclots (lake of islands), I saw one tent was already pitched where there was a protected wall built up. So much for having it all to myself. It was only 5pm, so I figured I’d go up another 30mins to the next lake. On my way, I ran into the guy who was the owner of the tent. He had just visited the lake I was headed to and assured me that there was a sheltered spot to pitch a tent. That was good to hear. 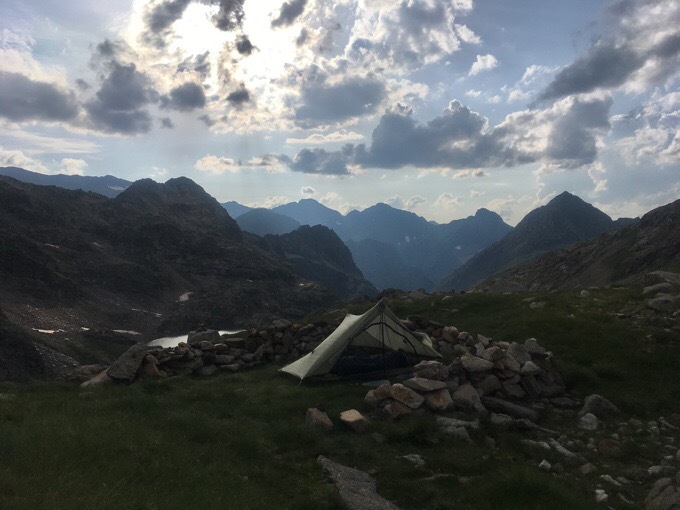 I made it up to Lac du Milieu at 5:30pm and found the sheltered spot to pitch. It was pretty perfect and even better than the spot I’d passed down below. It’s pretty exposed, but the best of all the options. There shouldn’t be any rain, but I do wonder about wind. It’s been light today, but you never know. Some gusts have come through since I’ve been here, but it isn’t bad. Now that the sun has set, the winds have picked up and it’s the noise that might bother me with flapping. Hopefully it will die down as it tends to pick up for awhile just after sunset. The view is pretty grand. I can look back on where I came and also see ahead to what I’ll be climbing up tomorrow morning. The book says to expect snow/glacier walking and scree. From here it doesn’t look too bad. Surprisingly, or not surprisingly, there are sheep around. I can hear the bells and some baaing, but they are a good distance away. They sound like they are migrating down closer as the sun sets though. I may have some friends tonight or early tomorrow. I have also heard rockfall and the glacier breaking I think. It sounds like major construction when it’s happening, but I’ve yet to get a visual on it. 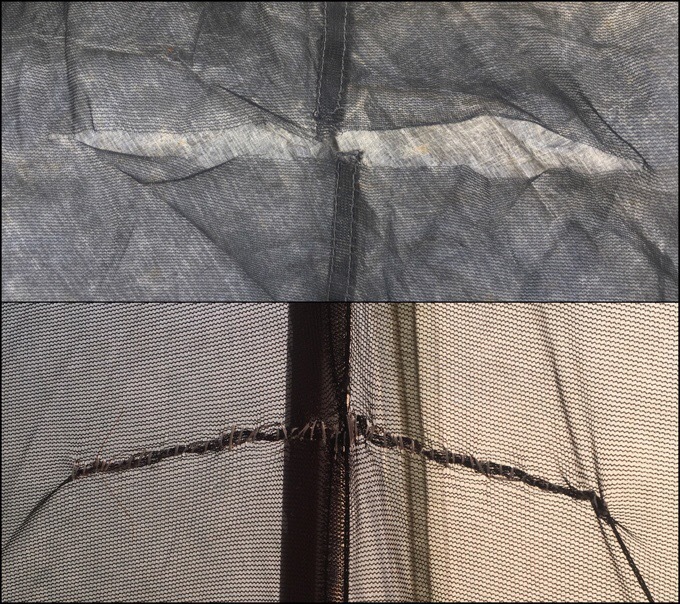 I did take 30mins to sew up the tear I made in my mesh on my back tent wall last night. It was easier than I thought it would be and I think it will hold really well. I was worried the mesh would just rip more, and that the stitching wouldn’t hold, but I went over it twice in two different stitches, so it looks like it will work. I’ve been wanting to do a time-lapse of my evening routine for everyone, and this setting was perfect for it. Here’s a clip of me setting up my ZPacks Solplex tent, filtering water with the Sawyer Squeeze, cooking dinner with my TrailDesigns Caldera Cone, and eating Oreos and cheese. I’m using a groundcloth for the first time since my first hike. It’s a polycro plastic sheet that’s been great. The ground here is a bit rougher, grass is pokey (or wet), and I’m surprised I’ve wanted to use it every night so far. Hope you enjoy the video. I finished early enough tonight to try out the new Netflix series “Friends From College.” It seems like one I’ll like. 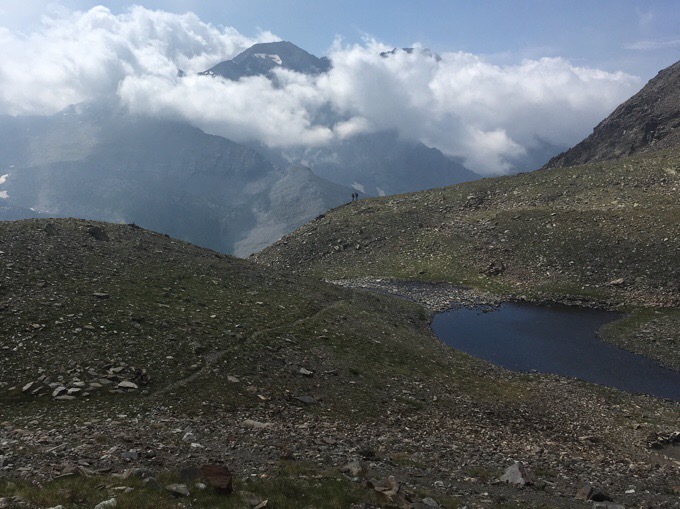 Tomorrow, the alpine hiking really kicks in! Love the time lapse piece! Are you using the ground sheet on the inside of the tent? Love the video.. I think I just view it again on my desktop flat screen, but looks good on this small tablet. 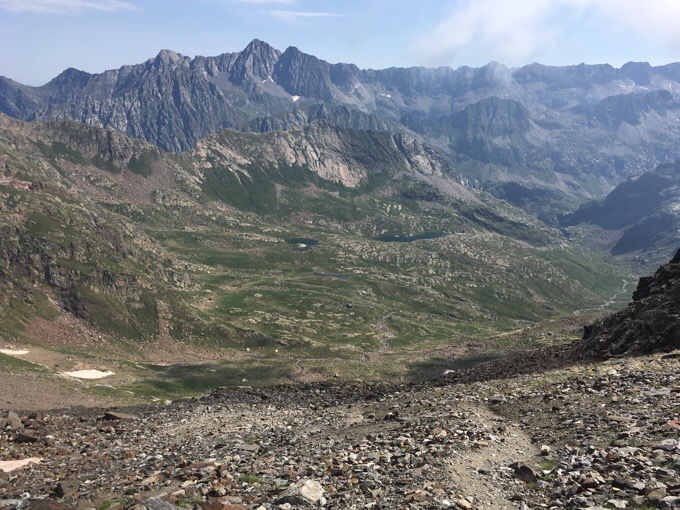 I’ve followed you since the CDT and I have to say, these are some of the more awesome views I can remember. They just don’t seem to stop! Loved the time lapse too! I always enjoy when people remember to show their campsites. A lot of bloggers just focus on the outward views. I have to say I think it is the most consistently scenic route I’ve done…but it’s a ton of work too! Such a great balance. It is for sure the most scenic per mile I’ve ever been on. Damned, I should go see this, 500km from home instead of 5000. 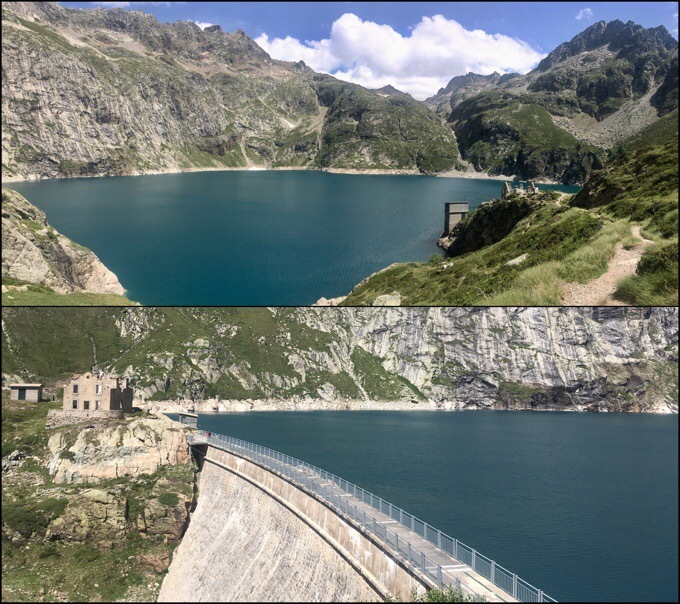 We built up that wall at Lac du Milieu back in 2010, when I and 3 friends arrived there in the early afternoon. 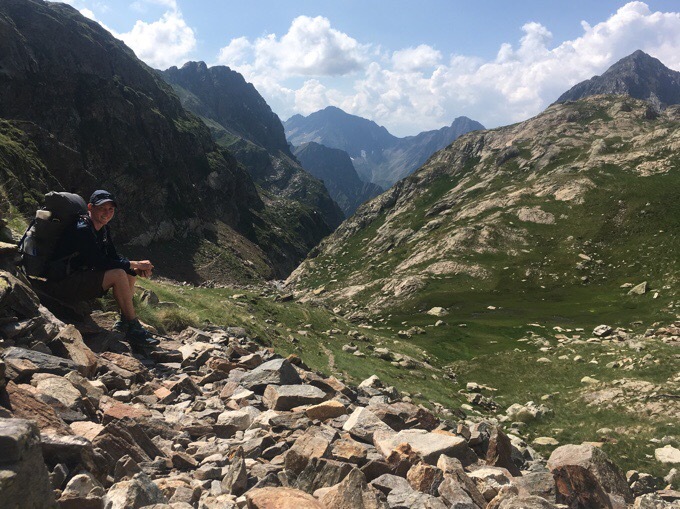 Btw, I’ve just had a 3-day break from the hrp, went into the Ordesa region with a good friend and climbed Monte Perdido. It was great, but it also means there’s no more chance of catching up with you… too bad, but it’s good you’re warming up the trail for me. Hope we meet on another trail! Have fun! Oh that’s such a coincidence Tom! That was a great wall! I feel like I know a piece of history. Man, bummer we won’t cross paths. You might still see Why Not and Jim though. This is such a great route. Lots of physical work, but so scenically rewarding! So beautiful; nice sewing job; awesome time-lapsed video! Watched it twice. Love the time lapse! It made me feel like I was almost thee with you, but on speed!